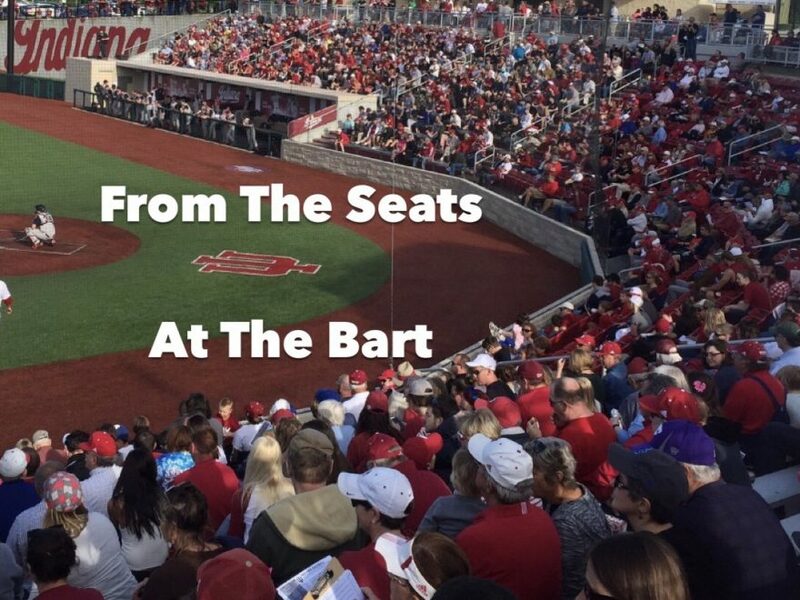 Our Next Entry for From The Seats At The Bart comes from season ticket holder, Lisa Bradley. You can usually find her with her family, in the front row, near the Hoosier dugout. There’s been some great response so far to this section of the site . 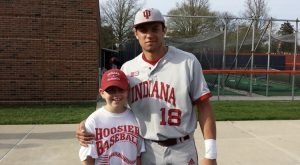 If any alumni , parent , or any Hoosier Baseball fan would like to contribute just let us know . 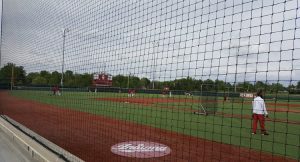 You can send them our way via email at chris@iubase.com . Where to begin….I have always been an Indiana Hoosier fan since I was a junior in high school. It was mainly basketball, but I met a young lady by the name of Christine Neal at the YMCA where I was working in Play N Learn looking after her kiddos and she told me all about the IU baseball team and that we should check it out. We began following the team in 2013 in what became the magical CWS season. The thing that struck me the most was how approachable the team was, no matter win or lose they always stopped for a picture or an autograph. The following year in April actually saw us make a few road trips to watch the team play. One road trip in particular stands out for me and that was the trip that we made to Illinois. We had already been there Friday night and we were looking forward to the game on Saturday. Unfortunately that afternoon the Hoosiers lost 2-1, and James took the loss pretty hard. On the way out of the ballpark to get to the bus a young ballplayer by the name of Austin Cangelosi saw James and dropped all his gear and came over to give him a hug and some words of encouragement. In fact the very words were “We will get them tomorrow, if not I owe you dinner.” The next day saw me and James make the trip over to Illinois to watch the deciding game and I asked him what we should do for the boys if they were to win the game. He at first said to give them money and I suggested instead that we make them cookies. Well that is how the Cookie Lady was born as the Hoosiers won that afternoon in a rain shortened affair. So I talked to Austin and found out what his favorite cookies were and then talked to Coach Tracy Smith so I could get permission to bring the cookies to the ballpark to give them to the team. I bring them into the ballpark and I take them over to the dugout and remember this very clearly that a young man by the name of Joey Denato was put in charge of making sure the cookies made it to the locker room. So after that day it became a tradition for me to make the team cookies at least once a season and in fact during a rain delay during the regionals a couple of the Hoosier Baseball mamas remembered me and told me that they had heard from their sons that I was the Cookie lady and that the boys were very appreciative of the treats. This is one of the many reasons as to why you will always catch us in the Spring at our home away from home, The Bart. I can’t wait for the 2018 season to start. Go Hoosiers!